When you are steeped in debt, it might seem like there is no light at the end of the tunnel. You are constantly worried and feel jumpy every time your phone rings. You feel as if every phone call is from your creditor and your sleeping patterns get affected. Most of the time, you find yourself worrying on how you can get money to clear your debts and enjoy the peace of mind that has become almost a luxury. However, amid all this, you need not fear or feel like you are alone. In fact, you are not alone. People are indebted in one way or the other. The only problem is that the kind of debt you are in right now might be as a result of financial mismanagement or simply a case of spending more than you earn. With that said, all hope is not lost. There are actually a number of do it yourself steps that are instrumental in helping you reduce your debt and hopefully become debt free within no time. So what are these steps? This is pretty straightforward. You cannot reduce or take measures to get yourself out of debt if you have no idea how much debt you have or the caliber of debt you owe. Take the first step to evaluate your debt by embarking on the process of collecting all your financial documents and listing down every debt you owe. This will give you an idea of just how steep you are in debt and it’s the first step towards debt reduction. Once you have a clear idea of how much you owe and the nature of the same, the second step is to of course scrutinize your budget. Jot down what your monthly income is and subtract mandatory expenses such as the amount of money you pay on mortgage or rent, childcare expenses, groceries, insurance, utilities just to mention but a few. Once you have subtracted all mandatory expenses after taxes, take a look at how much disposable income you have. If whatever remains is too small and not sufficient to effectively cover your debts, it might be time for you to look for ways in which you can increase this amount. The logical thing to do would be to of course, cut down on unnecessary expenditure such as say carpooling, the money you use on entertainment monthly or even the amount of money you spend on lunch monthly. Considering the fact that you now have a sneak peek of your exact financial situation as relates to your debt, the next course of action is to make a plan of how you dig yourself out of that debt predicament. Of course, you cannot achieve that without a proper plan of how you intend to go about it. Failure to plan is planning to fail and therefore it’s cognizant that you prepare a plan out of your debt situation. As a matter of fact, your plan should entail first clearing debts that have high interest rates before those with low interest rates. Continue doing this every single month until all your debt is cleared. Truth be told, you might be committed to repaying your debts but the interest rates keeps spiraling every month. If you are at this point, the best course of action would be to contact your creditors and negotiate on how you can improve your debt situation. The idea should be for you and your creditors to come up with a plan that is mutually beneficial or a reduced debt settlement. Don’t for once deviate away from your plan to repay debt. Be consistent as much as possible in repaying and reducing your debt. Keep track of your expenditure and follow your debt repayment plan to the letter. 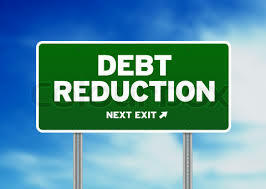 When you do this, it will only be a matter of time before you clear your debts and become debt free!